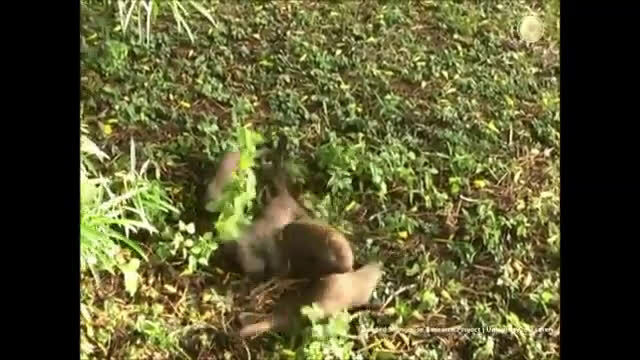 Mongoose mothers boost their pups' survival chances by evicting rival females from their social groups, new research shows. 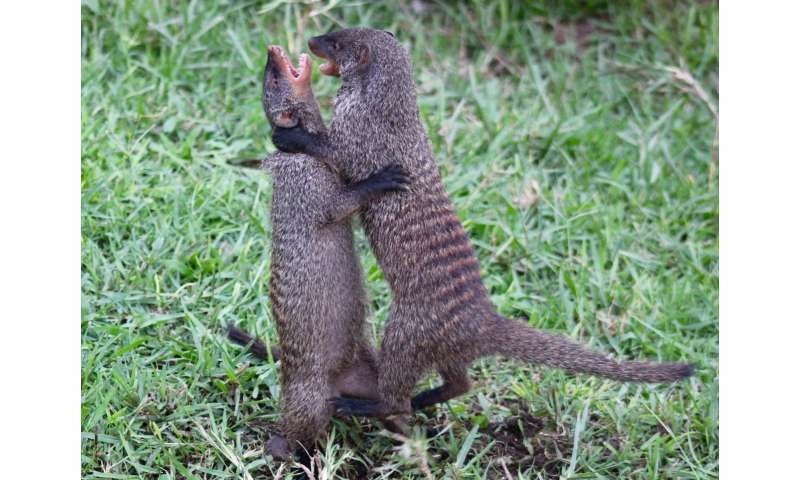 Banded mongooses live in highly cooperative societies, but violence between and within groups - including battles to evict some members - is common. Dominant females often spark fights to force out other females, and University of Exeter scientists have now proved a long-held theory that this helps their own pups. The researchers found a variety of other effects of evictions, including the creation of new social groups and reduced chances of successful breeding for evicted females. "Our research shows that eviction is a successful strategy for reducing reproductive competition," said lead author Dr Faye Thompson, of the Centre for Ecology and Conservation on the University of Exeter's Penryn Campus in Cornwall. "Pups of the females who remain in a group after an eviction have increased chances of surviving the first 30 days after birth to emerge from their den. "We've believed for a long time that this is a motive for evictions, but up until now we haven't been able to test this directly. "Most females in each group breed at the same time and give birth on exactly the same day, so competition for food and social care among their pups can be very high. "By evicting reproductive competitors from the group, the females that remain reduce the level of competition for their pups and give them a better chance of surviving. "Meanwhile, evicted females have a lower chance of successful breeding in the 12 months after leaving." The evictions - which often lead to injuries, and sometimes death - result in multiple females being expelled. In about 50% of cases, some males are evicted too. Dr Thompson said the researchers were fascinated to see the wider effects of eviction, such as the creation of new groups set up by evicted females. The findings are part of the Banded Mongoose Research Project, which has been studying the animals in Uganda for 22 years. "This project has data on mongoose individuals and groups over an exceptionally long period," said Professor Michael Cant, who leads the long-term study. "This gives us the chance to study and understand their behaviour in ways that would be impossible otherwise." 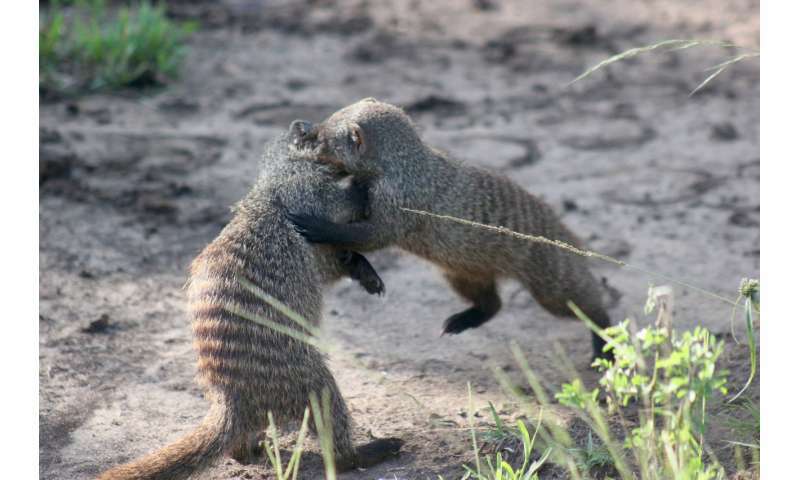 The paper, published in the journal Animal Behaviour, is entitled: "Individual and demographic consequences of mass eviction in cooperative banded mongooses."